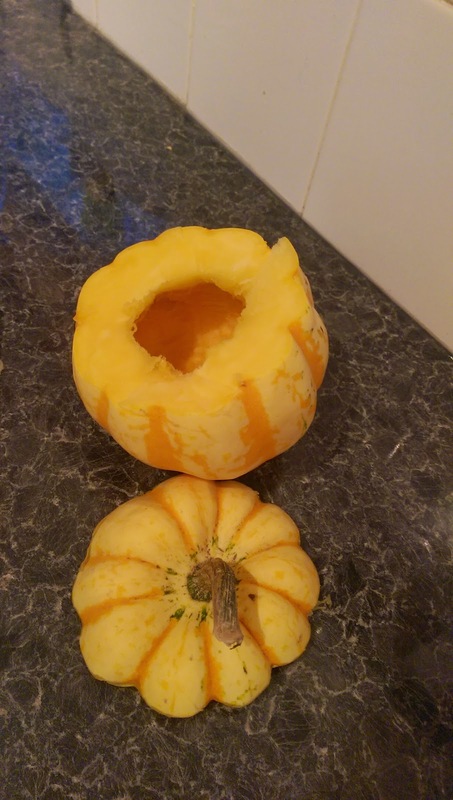 This next recipe is using seasonal produce for a delicious meal that will warm you from the inside-out, it is served up inside festival squash which look so great, this is sure to wow whoever you make it for! 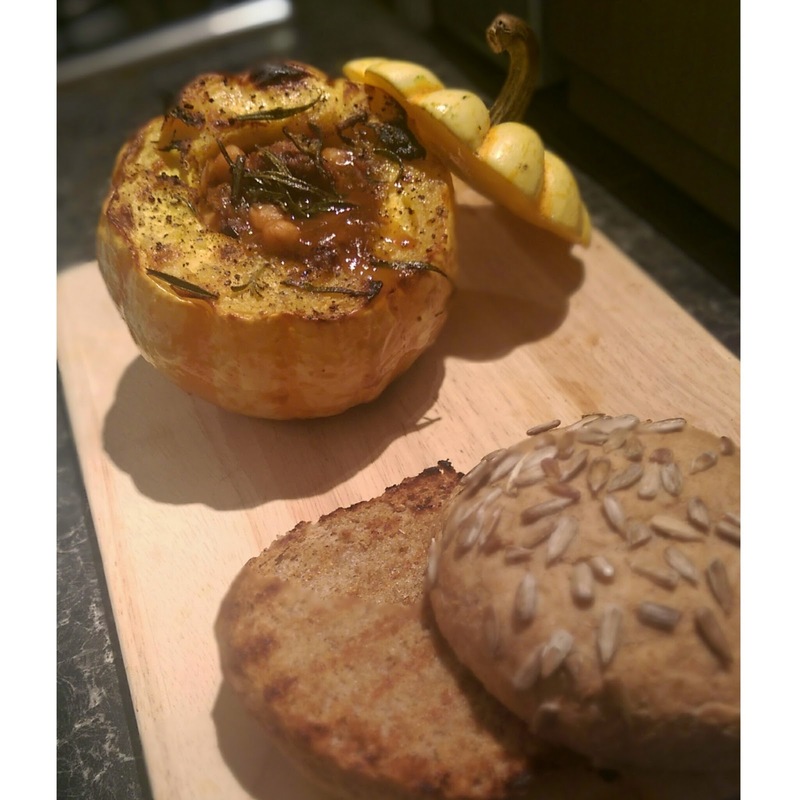 Cut the top off the squash and scoop out the flesh (the seeds can be saved for later and roasted for a tasty snack), drizzle with olive oil, rosemary, salt & pepper and roast for 25 minutes. Fry the onion, garlic and sausage in a pan for a few minutes, before adding the tomatoes, marmite, herbs, paprika and a sprinkle of black pepper, simmer on a medium heat for 20 minutes, before adding the chickpeas and simmering for another 5.